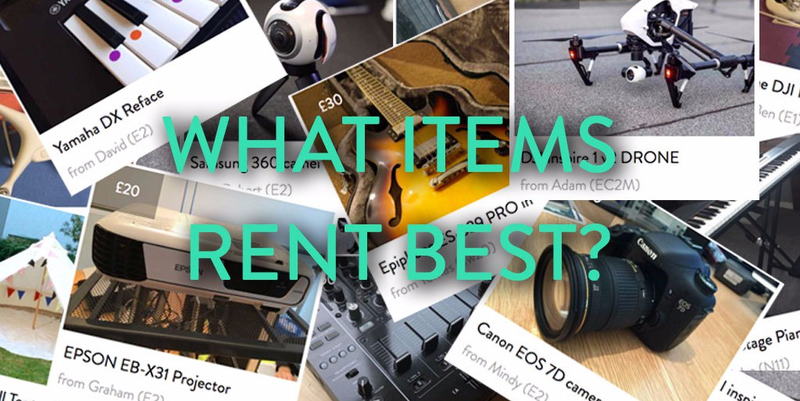 We’re often asked which items tend to have the greatest rental potential on Fat Lama. The list below gives an idea of a few areas of existing high demand. Having said that, there are a few categories which are likely to show you a quicker return on your investment. The list below is really just the tip of the iceberg but gives an idea of a few areas where there is existing demand. You may not have considered the demand for projectors, but search volumes are high and rising, especially in London. We’ve had users in need of projectors for charity events, weddings, funerals, work conferences and even West End productions! You name it, someone needs a projector for it. With festival season approaching, the savviest campers will be listing their tents and camping gear to rent on Fat Lama. In the research lab this week, our lamas have been looking into the annual spikes in search volumes for ‘tent hire’ – whether it’s a one-man pop-up or glamper’s yurt, now’s the time to list your tent for hire. Search volume for ‘Tent Hire’ in the UK shows regular summer spikes. More and more musicians are lending and borrowing their mixers, CDJs, turntables, PA systems interfaces and niche audio equipment on Fat Lama. Many are professional touring musicians who are complementing their income by putting their underused items to work. If you’ve got a spare CDJ, MIDI controller or set of speakers, there’s probably someone who could put it to good use when you’re having a night off. Summer’s coming, and with it approaches the cutthroat social contest for best barbecue of the year. Going by the UK search volumes around barbecues (see below), it seems that if listed on Fat Lama soon, the rental potential of a high-end barbecue could soon justify the purchase of a quality gas or barrel barbecue. Such an investment would also mean goodbye to cooking on the supermarket-bought aluminium trays which burn a permanent hole in your lawn. The endless potential uses for drones mean that their rental popularity is consistently high. We’ve spoken to users who’ve borrowed them for short feature films, construction purposes, wedding videography and even (a personal favourite) to obtain an aerial view of a roof on which another drone was thought to have crashed. One user, Daoud, borrowed a drone to film the Jurassic coast in Dorset. The results are spectacular. 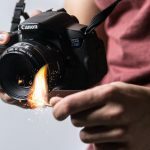 A number of photographers and videographers are consolidating their monthly income by renting their camera bodies, lenses and other accessories locally. Darren is just one lender whose earnings on Fat Lama have allowed him to concentrate on work that he finds fulfilling. Tip: don’t dismiss the rental potential in listing spare lenses, tripods, sliders or even camera bags. At Fat Lama, we’re excited about a future in which any item – from the niche and technical to the everyday – is accessible within minutes. We’re also excited by seeing our users support themselves with income that’s generated by lending out their underused assets. Whatever items you’re lending on the platform, check out our tips on how to optimise your listings on the platform.